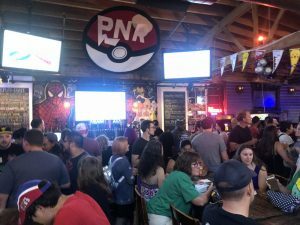 Article Beyond the Park: Chicago Pokémon Go Community! 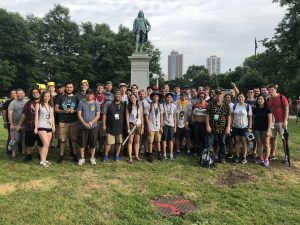 Beyond the Park: Chicago Pokémon Go Community! The festivities did not begin nor end with Pokémon Go Fest 2018. They started the night before, continued throughout the day on Saturday (and Sunday too!) with people swarming Lincoln Park to catch all of the Shiny Plusle/Minun, Unown, and Torkoal within reach, and ended Saturday with a party and Sunday with a tour through Taste of Chicago. Food is superb in Chicago, but the local community is what makes it home. For thousands of people, they were travelling to a city that they had not been to before. For others, they were just a short bus stop from the park, ready to help raiders snag any Regice or Articuno that may pop up! Individuals referenced in this article have been referred to using their Discord names. BTB: Where did the idea to hold a pre-party for Go Fest 2018 originate from? Hao: PNR wanted put something together to celebrate our unique community of members, as well as introducing PNR to the rest of the community. [PNR] is a group of hospitable individuals who share the love of the game first and foremost while keeping our members engaged beyond the game and into our Chicago communities. BTB: I remember getting verified on your Discord in preparation for Go Fest 2018, and I quickly saw that something was different about PNR? Can you explain what that was? Hao: That would be Professor Hemlock. It’s an automated raid coordination system driven by user submitted screenshots. It’ll automatically create a channel after you post a screenshot to help coordinate. Booms8: At this point in time, it is the best possible way to incorporate in game coordination without breaking T.O.S. 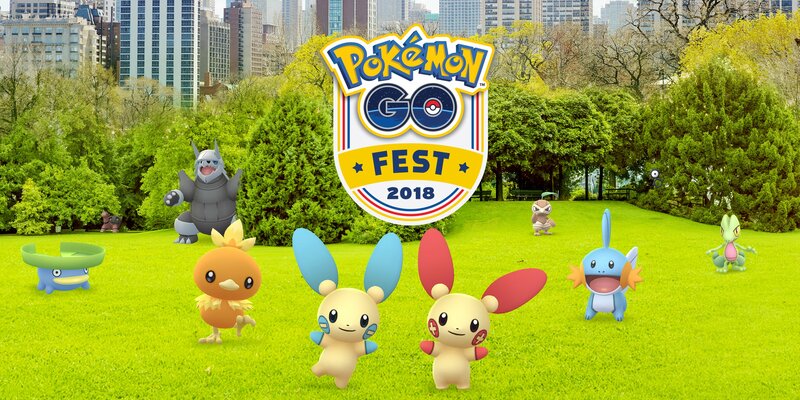 BTB: With Go Fest 2018 having successfully finished, and your Discord introduced to trainers around the world, where do you hope to take PNR in relation to Go Fest 2018? Hao: Location wise, I would like [a future PNR/Go Fest party] to be closer to Downtown Chicago to make it easier for visiting trainers. Attraction wise, I would like to see more live entertainment and interactive features for trainers to be involved. Think along the lines of VR. On the part of Go Fest, I would like to see more trainer profiles. The inclusion of Youtubers/influencers were great, but everyone plays differently. Niantic could help this by incorporating more local communities. BTB: From hosting a party involving Youtubers and other influencers to forming a Guide to Go Fest that encompassed everything a Chicago-first timer might need to know for Go Fest, you all had a lot to juggle! How did the whole event come together for you all? Tvaldivieso: We didn’t have an abundance of time to plan, but we quickly banded together to make the most of the opportunity. Almost immediately, our primary goal became showing any visiting trainer a good time. The Guide to Go Fest played a nice role in that. On the note of the party, the presence of influencers is something for which we can thank the Level 40 Club. We partnered with them as well as the venue, Replay. Pokébattler was also in the house, and they hosted a huge PVP tournament. (Shout-out to Lady Mormont for having won the tournament!) We also partnered with a group called Phoenix Creative Collective that produced original artwork for the event. They also helped managed getting Pokébattler involved as well, so we could not be more happy. Mzall: Harmony (moderators) and our community leaders (Ambassadors) really helped pull together the local community. BTB: It sounds like you have pulled out all of the stops to really make everyone feel included! Where do you feel like you want to take DTC next year in relation to Go Fest? Knife: We hope whoever takes the torch next year is able to develop something similar from their local perspective [to what we had this year]. Cmykchicago was our designer, and ArgonArcher was our coding wiz, and they played a huge part in pulling the Video Guide and site together. Getting The Silph Road to help spread the guide to the thousands of trainers really helped boost getting everyone prepared, so many thanks to them! And really, just continuing to show the community what DTC has to offer in all forms. Mzall: We can’t wait for next years. We opened our arms and our doors to the global PoGo community in the weeks leading up to the fest, and the sleepless nights and countless coffees really paid off. Regarding [next year] and Niantic, Marco Ceppi (from TSR) and I were in talks about the Silph app and such when he mentioned Niantic was interested in getting in touch and coming out for Community day to stress test their network before Go Fest. From there, we sent off an email, and Knife charmed them with his good looks! Getting that on the ground interaction from Niantic is definitely something that improved the overall experience, and something we would like to see more of in the future. Interacting with Hao, Boom8, Windom, Zaphod, and Tafka from PNR, Madalina and Josh from Phoenix Creative Collective, and Mzall, Knife, and Tvaldivieso from DTC have been pleasant in every sense of the word. The interviews and conversations have been greatly shortened, but rest assured that if you go to Chicago for anything Pokémon Go, and you get into contact with these groups, you are in the best hands. There will be no shortage of raids, mons, or mid-western hospitality when you go to Chicago. 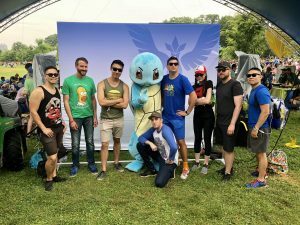 Niantic has made a wise decision in holding Go Fest in the same city, and these groups all played a HUGE part in the success of this event.